You call that a kitchen? Tiny kitchens: Despite their love for food and cooking, Chinese make their kitchens incredibly small. Two is a crowd in a Chinese kitchen, so forget about cooking with a friend. You won’t find any of your creature comforts from home here, either – no dishwasher, no garbage disposal, and no oven. 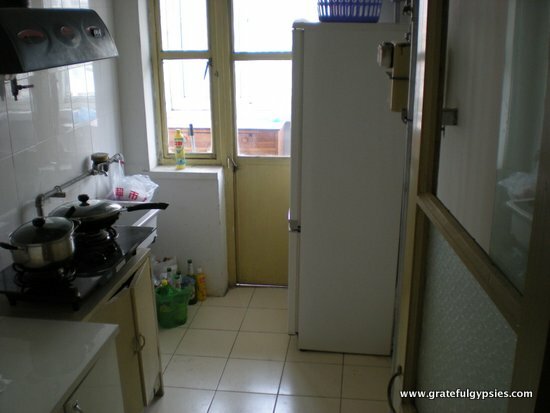 Most Chinese kitchens come with nothing more than a sink and a small two-burner stove. Chinese cook everything in one wok, so you might as well get used to this as well (or buy a toaster oven like us). Oh yeah, I almost forgot to mention your fridge. You’ll have one, but don’t be surprised if it is in your living room. It will be tiny as well, so forget about buying groceries to last you a few weeks. Sometimes you have to get creative with laundry. Laundry: Enjoy the last load of laundry you do at home, because things are done differently in China. You’ll have a tiny washing machine, which will be a great way to practice your Chinese reading as all of the buttons will be in the local language. 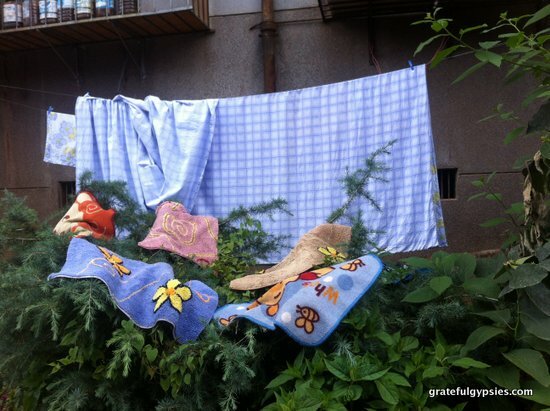 Get used to hang-drying your clothes as well, because your Chinese pad will most certainly not have a dryer. Utilities: Back in the US, we were used to paying our bills once a month. We’d enroll in automatic bill payments, and every month our electricity, water, gas, and cable/internet bills would come out of our bank accounts – nice and easy. Not so in China. For electricity, you will get a little stick or card and pay it forward. This involves going to the bank or your apartment’s management office, putting X amount of RMB on it, and then plugging it into the grid in your apartment. It’s best to put a lot of money on it every time to save you trips and to keep from running out of power. All too many times we found ourselves in the dark at night and having to wait until the morning to visit the office. As for your water bill, a nice Chinese lady will show up at your apartment at some random hour once every few months to check some numbers and write you a bill. For TV and internet, you pay for both of these by the year, so hopefully you’re staying long enough to make it worth your while. More like benches than couches. Uncomfortable furniture: I’m convinced that all Chinese people sleep on box springs and have yet to discover mattresses. Chinese people must love sleeping on hard things, because the only soft beds we’ve come across in the country have been in upscale hotels. Get ready to splurge on mattress pads in IKEA to avoid waking up sore every morning. Chances are you won’t be spending much time on your couch, either. That is, of course, if you even get one. My first apartment in China had more of a bench than a couch, and my poor friend had to sleep on it for a few weeks while he was looking for a place. At least your painful furniture will encourage you to get out of the house more! Now, aren’t you excited to move to China?! 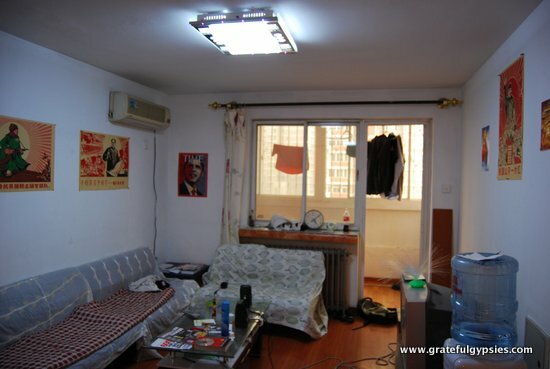 If you’d like a better idea of what your place might look like and how much it’ll cost, check out our description of all the apartments we’ve lived in here in China. 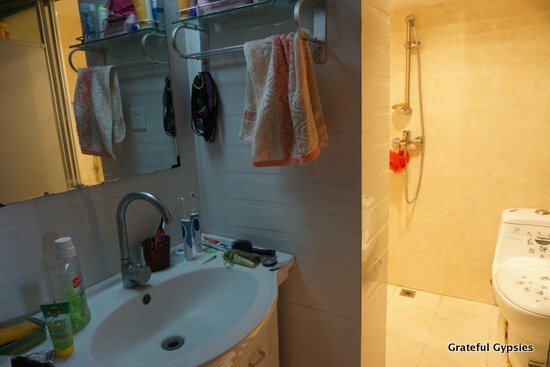 If renting an apartment isn’t for you, there are other options for accommodation in China.